DPF Deep Clean - What is a DPF? Diesel Particulate Filters are an industry response to the progressive tightening of exhaust emission standards for diesel vehicles and other equipment utilising a diesel power plant. As their name suggests, they remove the particulate matter (soot) from diesel engine exhaust gasses by passing them through a filter system that traps the particles. To maintain engine performance, DPF systems must be cleaned at regular intervals to remove the deposits they have collected. This is known as regeneration. For the majority of road vehicles regeneration is carried out on-board, though some vehicles, such as underground mining machines and some heavy trucks, may incorporate ‘off-board regeneration’ which requires the DPF to be removed for cleaning. 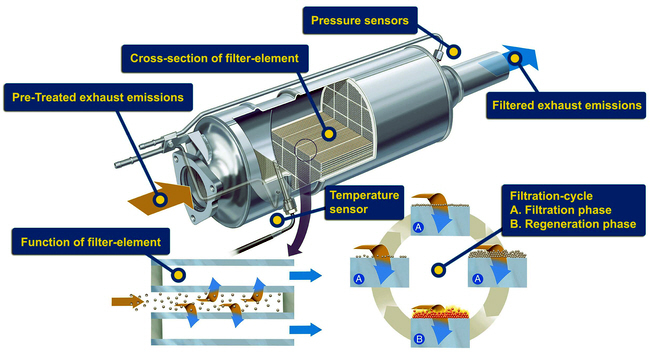 On-board regeneration involves raising the internal temperature of the DPF to a point where the soot it contains reaches its combustion temperature. This can be around 600 degrees Celsius. Regeneration involves the vehicle’s engine management computer monitoring sensors that measure exhaust system back pressure and/or temperature. 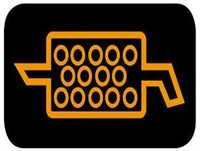 When pre-determined conditions are met the computer facilitates the injection of additional fuel that raises the temperature of the DPF. On-board regeneration is usually completed automatically, often without the driver even being aware it is occurring. However some operational situations can affect the regeneration process. Low speed and stop-start driving can prevent the initiation or completion of the regeneration process. In such cases the vehicle may need to be driven a certain distance at a defined minimum speed (usually about 50mph), or for a period of time at a minimum RPM. Alternatively, the recommended procedure is that the vehicle is returned to a main dealer to have the regeneration process manually initiated. If neither method is effective, the dealer will recommend replacement of the DPF unit. Drivers need to be aware that if there are faults elsewhere which cause the vehicle to enter "limp" or "get you home" mode, where the engine performance is strictly limited by the management system, the DPF will be unable to regenerate itself. Vehicles fitted with a DPF will have a dash mounted malfunction warning lamp. 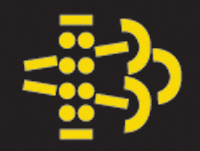 The operation and appearance of this warning varies from make to make and owners should familiarise themselves with its operation and what it signifies for their particular vehicle. The malfunction warning light must not be ignored. Doing so may jeopardise the continued reliability of the vehicle. DPF systems and the exhaust system of DPF equipped vehicles in general must not be tampered with or modified due to the risk of triggering a ‘runaway’ or ‘uncontrolled’ regeneration event. Such events may cause extensive heat damage to the vehicle and its surroundings.